Noting that the EC's order defied the "principles of natural justice", AAP's Delhi unit's chief spokesperson Saurabh Bharadwaj said the poll panel did not hear the MLAs' case. 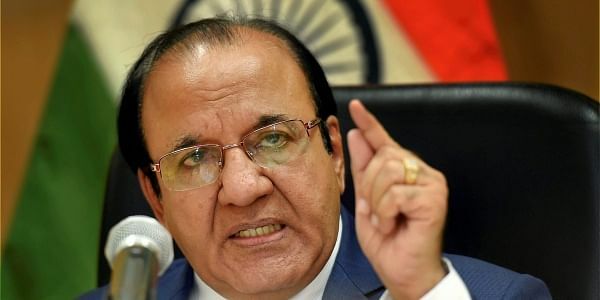 NEW DELHI: Launching an attack on CEC A K Joti after the Election Commission recommended disqualification of 20 of its lawmakers, the AAP today said the poll panel head was "repaying the debt" to Prime Minister Narendra Modi before his retirement. The Election Commission is learnt to have recommended to the President the disqualification of the 20 AAP MLAs for allegedly holding the office of profit. In its opinion sent to President Ram Nath Kovind, the EC said by being parliamentary secretaries, they held the office of profit and were liable to be disqualified as MLAs of the Delhi Assembly, highly placed sources said. Hitting out at Joti, Bharadwaj said the decision comes at a time when the Chief Election Commissioner is due to retire on January 23. "A K Joti was the principal secretary under (the then Gujarat Chief Minister) Narendra Modi and then the chief secretary of Gujarat. He is retiring on Monday. So you want to repay Modi ji's debt. You are mortgaging a constitutional post like the Election Commission," he alleged.